Earlier this month, a group of students in the Honors Program, including seniors Claire Dugan, Katie Murdock, Hope Siler and Lauren Weber, hosted an art crawl fundraiser called “Force of Nature” to benefit the Tennessee Environmental Council’s Radioactive Waste Education Program. The group researched this program as part of their senior thesis project, which culminated in this event. Belmont’s Honors Program required students to choose one of four tracks, which begins in their second semester of their sophomore year, in addition to 29 hours of Honors Core Classes. The Force of Nature group chose the “Project LEAD” track, a program that examines leadership styles and studies the qualities of effective leadership. While the three other tracks require a senior thesis as a capstone project, Project LEAD requires a group of students to partner with a community organization to aid the organization in its mission. The group chose the Tennessee Environmental Council (TEC) as their community partner, as group member Siler is passionate about the bridge between art and activism and felt that they could become active in the fight against nuclear waste in Tennessee through art. 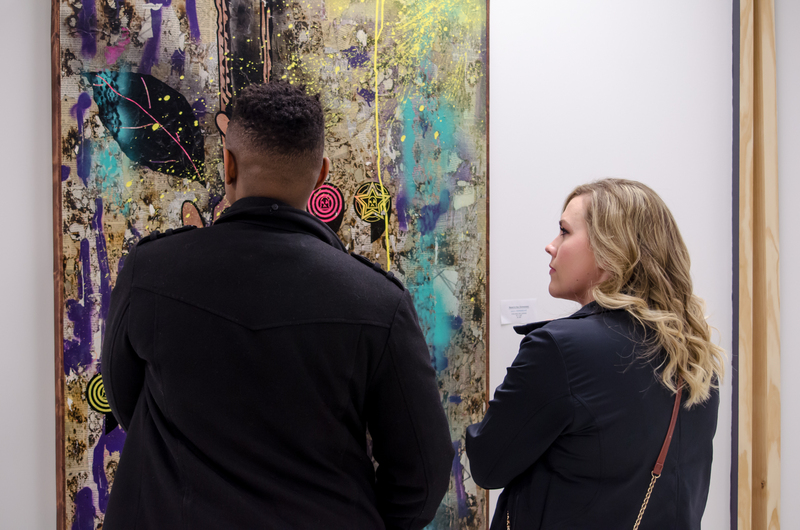 From there, they connected with their featured artist, Jason Hargrove, who already had a number of pieces that matched the theme of the project.